Building Permits are "On Fire" as the Real Estate Market Continues to Climb! Posted by Brittany Bosher on Friday, July 24th, 2015 at 11:29am. Mid-way into 2015 and the American housing market is continuing to boom. 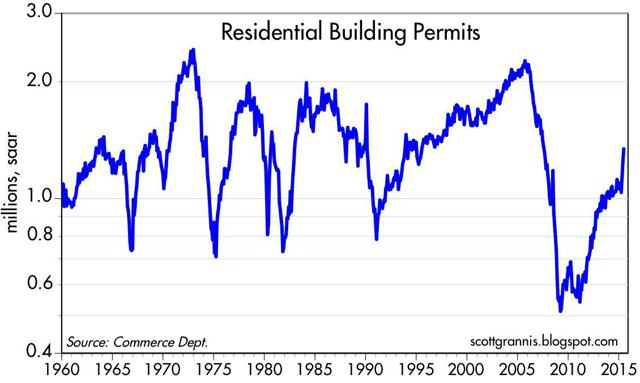 Of late, new construction and building permits have been sky rocketing. Over the past year, building permit applications have risen 30%, an incredible advance compared to years past. There are a few factors leading experts to believe that housing starts will only continue to rise in the upcoming months. Some of these factors influencing the promising stats include; a currently robust inflation and a recent rise in homebuilder sentiment. Home builder sentiment is a homebuilders' confidence in the market for new homes. The level of home builder sentiment in the United States is back up to levels not seen since the height of the housing boom a decade ago, according to article in USAToday.com. The statistic is the highest it’s been since 2005. As for the local market here in southern Florida, new building construction is also thriving. The northern, central and southern regions of Palm Beach County are experiencing substantial jumps in residential building permit applications, new construction and ready-to-sell new estates. The new Palm Beach County homes range in price from the mid $300’s to $1 million plus residences. Martin and St. Lucie Counties are also enjoying the bump in growth. New construction in Martin and St. Lucie Counties range from the low $200’s to $1 million plus are now available for sale. All of this new construction and building permit applications are bright indicators of a healthy housing market and an even healthier market future!